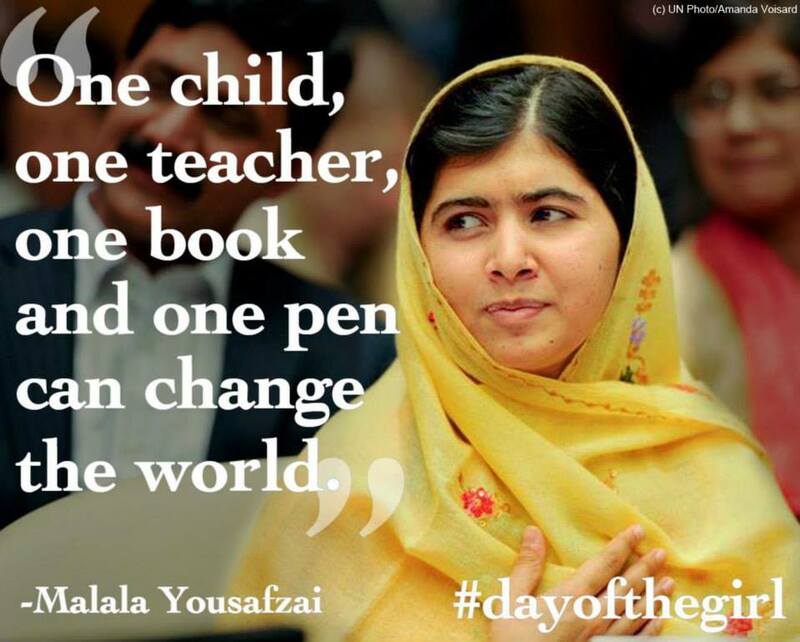 Prac 27th last day: This week my students learnt about ABAB quatrains through Banjo Paterson and Henry Lawson; and today they applied that knowledge after a short intro to the inspiring Malala Yousafzai. 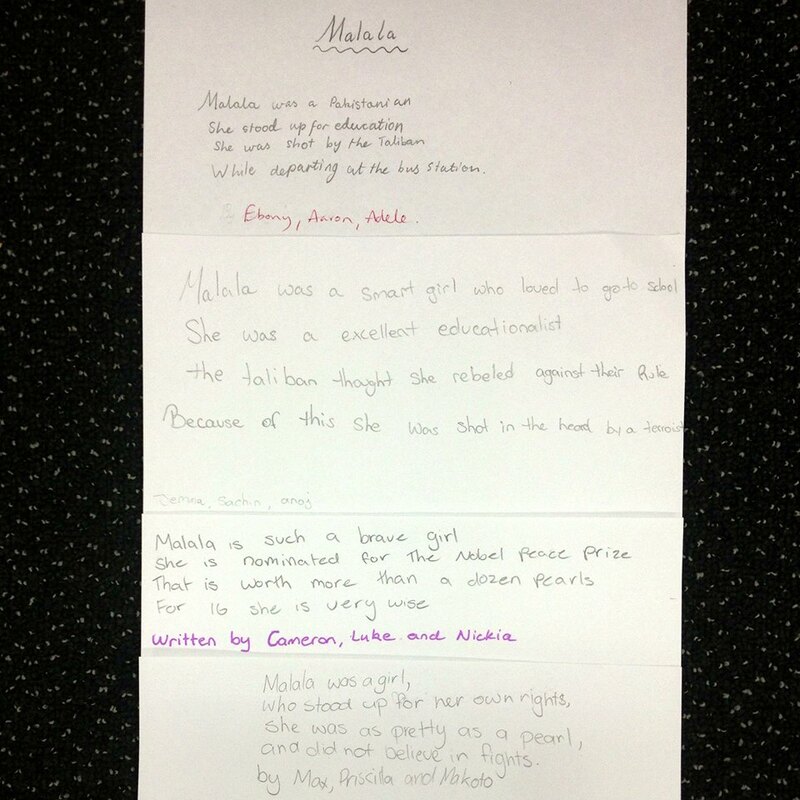 A 10 minute poetry challenge – a quarter of them opted for Malala, over the other ABAB writing option offered. My way of celebrating International Day of the Girl 4 days down; 26 to go. Photo idea: record student work, especially group projects. Useful for profiling achievement and progress, and to represent general class effort – easily projected or printed at staff meetings etc. More authentic to show students’ handwriting, rather than re type text. This entry was posted in EDLET REFLECTION, Prac photo project and tagged Malala Yousafzai, poetry, writing on October 11, 2013 by letletlet.